Start taking classes at Add Nurture Massage and Bodywork and other studios! Add Nurture Massage and Bodywork is about a more kindhearted care for oneself physically. It is about cherishing our bodies, listening to pain rather than cursing it, and accomplishing that together as down-to-earth fellow humans, not doctors and patients. In her massage practice, Emily offers more detailed techniques such as Active Cupping and T-Bars in her Therapeutic Sessions. This use of Instrument-Assisted Soft Tissue Mobilization and her innate calming presence all come together to create her own unique style of deep-tissue work. It is very helpful, but not painful. And in her Swedish Massages she offers a softer, more fluid healing approach to the body as you reconnect and restore in body and mind. Tipping is optional, but always appreciated. Please arrive at least 10 minutes in advance of your appointment in order to get settled into the space and complete any necessary paperwork at the front desk. Please also note that you are reserving a specific appointment slot with an assigned practitioner at Add Nurture Massage and Bodywork, so if you need to cancel your reservation, do so as early in advance as possible! 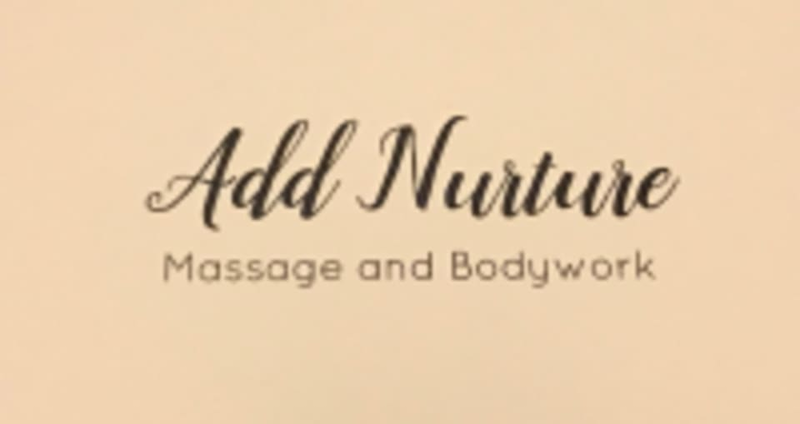 Add Nurture Massage and Bodywork is located at 6073 W 44th Avenue #100, Wheat Ridge, CO 80033. There is free parking in the back and front of the building. Access through the front doors will lead you to a set of stairs where you must go down the hallway to suite #100. Emily is a fantastic therapist! i will be back! Emily uses cupping to loosen up the muscles and her overall technique was very effective! She used just the right amount of pressure. Best massage experience on Classpass!